"We are your key to clean." Miriam's Cleaning Services is a Cleaning Company located in Woodbridge, VA and services all of Woodbridge & the surrounding areas. 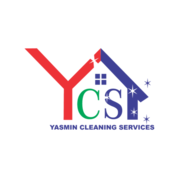 We specialize in Home Cleaning, Maid Service, Office Cleaning, Residential Cleaning, Move In Cleaning, Move Out Cleaning, Vacation Home Cleaning, and Bank Cleaning. Here at Miriam's Cleaning Services, our mission is to provide quality service at an affordable price. With our years of experience in the industry, you can be sure you are getting nothing but the best. Give us a call today for more information! Woodbridge, VA 22193 Martha's Cleaning Services, Inc.